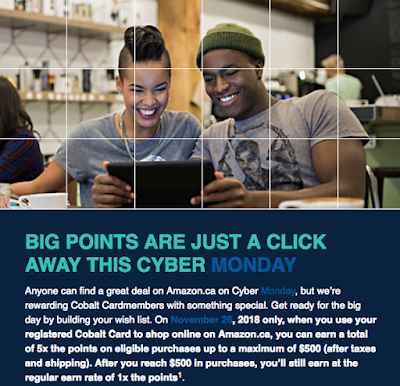 There is an American Express Cobalt Card Cyber Monday bonus! 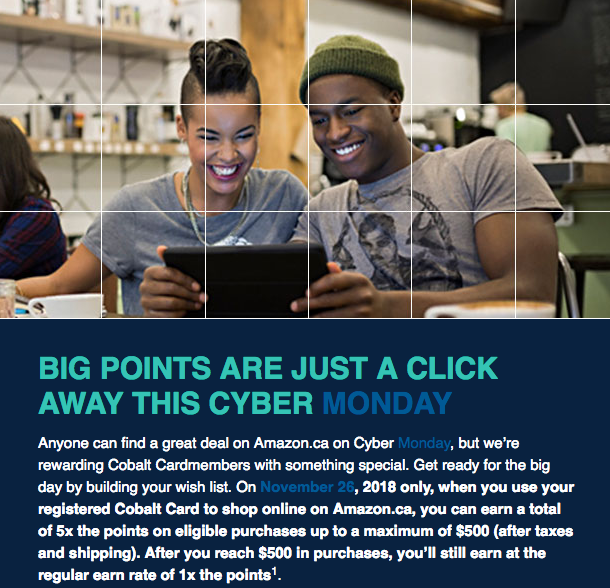 On Monday November 26 you can earn 5x points on all Amazon.ca purchases up to $500. Check your email to see if you were targeted for it and make sure you register! 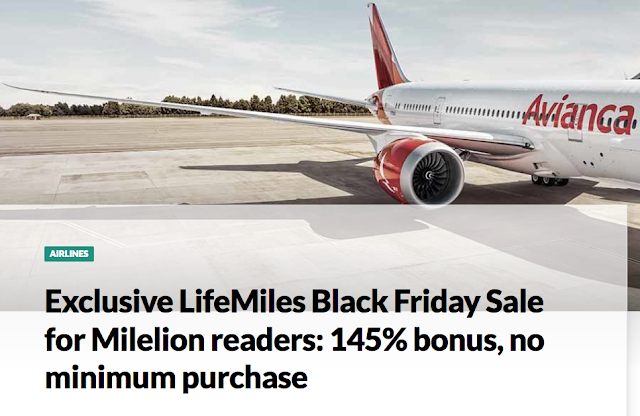 It does appear any can get it though as they state: "If you did not receive this offer by email, please call the number on the back of your Card to register." Check out two new Marriott Rewards stay bonuses here in Canada - one in Montreal and one in London, Ontario. Find out more here! 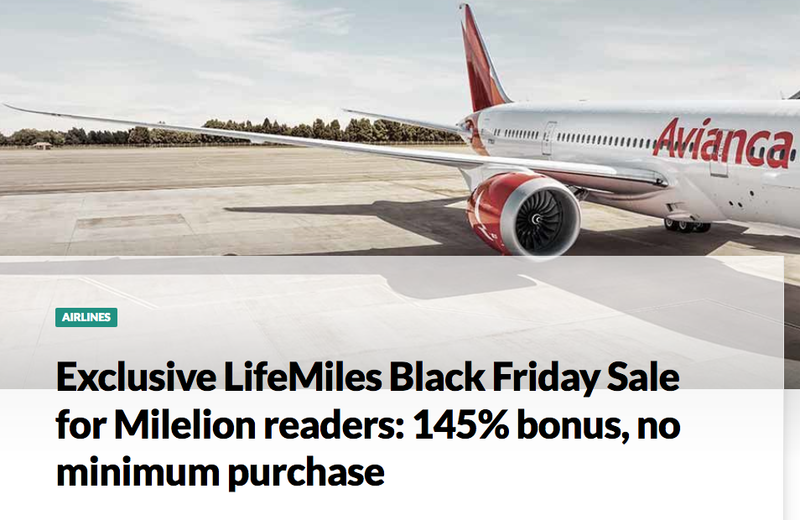 Yesterday we let you know about the 140% bonus for buying Avianca LifeMiles - turns out there is a 145% offer when you go through Milelion, a Singapore based points and miles blog. Find out more here!